I know everyone has been doing the autumn essentials posts and I’m jumping on and doing one of my own. I have been enjoying read everyone’s posts and getting new recommendations for fall. I wanted to share my must haves for fall, beauty and otherwise. 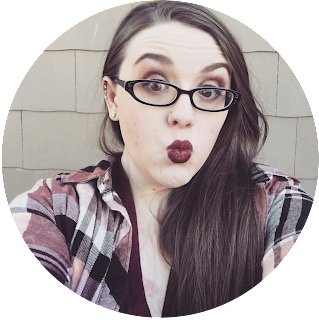 I’m going to be talking about my must have fall beauty products, candles, jumpers and a whole lot more of the things that I love in fall. Let’s talk lips first. I just love dark lips whether it’s fall or not. I’m all about the dark nails and the dark lips. Maybe the dark makeup trends are why I love fall that much. Well it’s one of the big reasons I love it. I’m also all about the jumpers, and beanies, and chilly mornings curled up with a cup of tea and a good book. One of my favorite lippies of all time is Rimmel London Kate Moss Lasting Finish Lipstick in 107. I love it anytime but it’s just so perfect for fall. It’s a beautiful berry red with purple undertones. I love it! Berry tones are going to be a recurring theme throughout this post so get ready for a lot of it. I love all of the lippies in this post no matter the season. Their formulas are great and they all wear beautifully. The berry shades are just my favorite this time of year. I also tend to gravitate toward the same kind of base formula, smooth and creamy lipsticks, that are matte of course. If you’ve read any of my posts that mention lippies or any other makeup really you know that I always go matte, and absolutely hate glitter and shimmer. Anyway all of these lippies are similar in a lot of ways but they are different in their own ways and I love them all. My other loves this fall are MAC Retro Matte Lipstick in Ruby Woo. It’s such a beautiful classic red. And it’s so pigmented! I’ve also been loving Bite Beauty’s Mix and Mingle Holiday Lipstick Duo in Scarlet & Mulberry. They are both such beautiful berries. They have a bit of a shine but I just apply them and then remove the excess with a tissue. Now let’s talk about nail color. I’ve always been about dark nails. Until last year I only wore black nail polish. But I now love all the different colors, dark, bright, light and pastel. I defiantly go with the trends of nails. Lights and brights and pastels in spring, brights and pastels in summer, darks in fall, and lights and pastels in the winter. I used to only wear black and it’s still one of my staple colors that I wear all year round. I usually use Sally Hansen Hard As Nails in Black Heart but every store I try has been sold out since the last time I ran out so I’ve been forced to try new formulas. Since I’m a Sally Hansen girl I tried other SH polishes. The black shade in the Insta-Dri formula is ok but it didn’t say long without chipping. Then I tried Sally Hansen Hard As Nails Xtreame Wear and fell in l love. I have a love hate relationship with this formula. It’s a bit iffy from color to color but the black is amazing and the best black polish I’ve ever tried. With the Sally Hansen Double Duty Base & Top Coat I’ve had it last for 12 days with no noticeable chips and 4 days without a top coat. It’s amazing! It’s a must have for all seasons! I also love grey polishes and the Sally Hansen Insta-Dri in Grease Lightening is amazing. It dries super fast and stays well with a B&T coat. It’s better than the black shade from this line. The black one was the only shade I’ve had issues with so far. I also love the shade Cinna Snap it’s a really pretty deep red shade that is just great for fall. My last polish for fall is a new favorite of mine. I just recently tried Essie polish for the first time. I love it! It has great dry and wear times and their colors are gorgeous. My favorite fall shade is essie Shearling Darling. It’s a beautiful deep berry purple with red undertones. I just adore it! The other big fall trend is eyes. Now I’m not a glitter or shimmer person so I don’t do the coppery gold eyes but I love a dark brown eye looks. That why I love the Urban Decay Naked Basics Palette. Almost all of the shades are matte and it has some very pretty browns and nudes. I have been thinking about taking the plunge into coppery golds, so let me know your faves in the comments below. I also really love the liner trends of fall, the cat eye, the bold line, I love them! But I prefer pencil liner over liquid. I just like the softer look from the pencil. My faves are Urban Decay 24/7 Glide-On Eyeliner and its drugstore exact copy Rimmel London Scandaleyes Kohl Eyeliner. I love them! 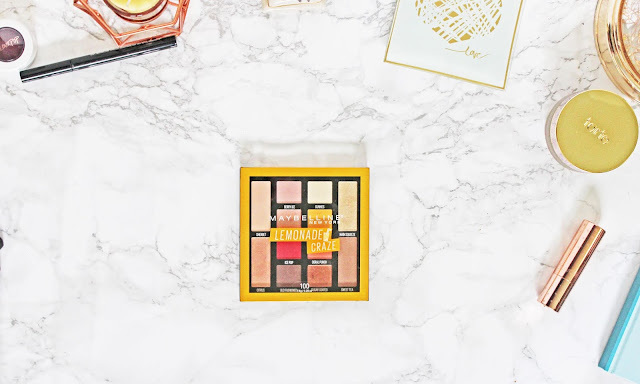 The Rimmel one is more than just a dupe for the Urban. They are both smooth and creamy and apply so easily. I really love the UD shade Smoke, it’s a matte medium-dark grey. I also love Perversion of course. And Rimmel’s 001 Black is a perfect dupe for Perversion. And the last makeup thing I wanted to mention is NYX Blush Singles in Peach. Around this time of year is when I start to get into more blush and less bronzer. I want the rosy, just been out in the cold, flushed kind of look. Peach is a matte classic rosy pink. It is perfect for fall and for winter. As fall begins and the air gets colder skin care becomes more important. The cold makes for skin dry and your lips get chapped. I always carry lip balm with me as the weather gets colder. I’m always trying new ones but I always come back to EOS lip balm. It always keeps my lips soft and smooth. When it comes to my body I already exfoliate once a week and moisturize every day. My fave exfoliator has to be The Body Shop Body Scrub. I use it once a week. I might use it twice a week if my skin is getting really dry but anymore would be bad for your skin. I always follow it up with The Body Shop Body Butter. The rest of the time I use Victoria’s Secret Pure Seduction Body Lotion. I’m thinking about switching to an Olay lotion or maybe a Philosophy cream but I find it hard to find a body lotion that isn’t too oily for me. Or one that’s scent isn’t overwhelming. Let me know if you have any suggestions in the comments below. I have always loved candles. Ever since I was a kid I loved watching the flame. My favorites this year are the Bath & Body Works Sweet Cinnamon Pumpkin Candle, which smells just like the pumpkin spice mix you buy from the store. And the Bath & Body Works Vanilla Bean Candle, this is there year around vanilla not the Christmas special one. I have also been loving the Yankee Candle Gingerbread Maple Candle. It smells so good. I got a mini one for free when I bought my YC Advent Calendar and I love it! Slippers! You have to have a pair of cozy slippers as the weather gets colder. I got mine at JCPenny last year. These are still the top style for slippers and they are everywhere. Staying on the topic of shoes I have these combat like boots I pull out every year. I’ve had them for about 3 year and love them. I really want to get a pair that are the lace-up style this year. Moving to the upper body I love sweaters! I just got into them last year so I don’t have a bunch and I’m currently on the hunt for a few particular styles to build my collection. Right now most of mine are Christmas sweaters. All of these have been for late fall. Moving to something that I love for early fall, plaids. Long Sleeve, short sleeve, button-up, open front, I love them all. I’m all about plaid. Now something that everyone loves, fall or any other season, Beanies! I am slowly building my beanie collection. All I asked for, for Christmas from my sister was beanies. I even told her particular styles I wanted. 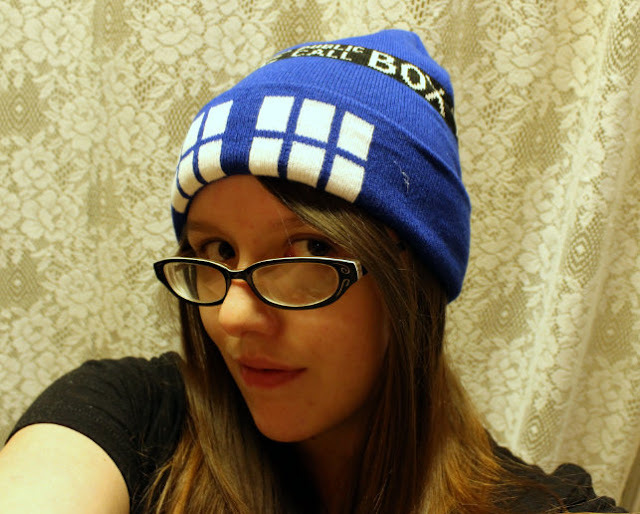 My favorite this season is my new Tardis one. I love curling up with a throw blanket, a cup of tea, and a good book. I’m kind of boring with the tea I drink, just black or green. Fun fact about me, I collect mugs. My new favorite is this cute Owl Mug that I found at K-Mart. It’s just too cute! And the book I’m currently reading is Harry Potter and the Half-Blood Prince, I know, I’m 10 years late. I’m also reading Ripper by Peter Petrova. It’s about what would have happened if Jack the Ripper really had come to America, but it’s told thought the eyes of the lead detective’s adopted son. The chapters are only like 3 pages long and I’m only 12 chapters in but it’s already so good. I love the changing leaves and the sound of them crunching under your feet. I love the smells of the dirty as it gets colder and the crisp chill that starts to fill the air. And I love the dead trees. I just love nature. I grew up going to my Aunt’s every day. She had 3 acres of woods behind her house. I grew up watching the seasons go by on her trees and fell in love with it. I’ve loved nature since I was a kid. Maybe that’s why it’s my favorite thing to photograph. I love to take photos throughout the seasons but Fall and Summer are tied for my favorite. I love the rich greens of summer and the yellow’s oranges, reds and browns of fall, I can’t pick between them. Well I could go on and on about my favorite things about fall. This post easily make it to 3,000 words long and all of you would get very bored. Autumn is hands down my favorite season and I could talk about it forever. I love to hear your thoughts! 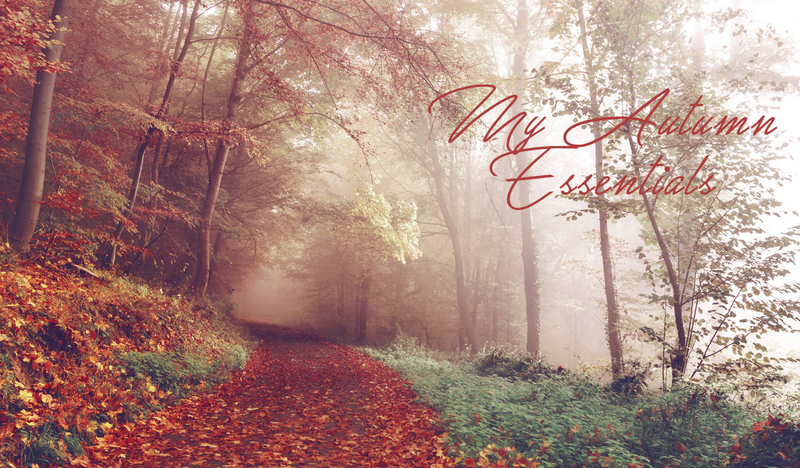 In the comments below let me know what your must have fall products are. I’m all about trying new products. Lippie suggestions are very much welcomed. Thanks for reading this post! I hope you enjoyed! If you have any questions or concerns fell free to message me. Much Love! Disclaimer: This post is NOT sponsored. Everything in this post was received it as a gift or I purchased myself. I was not paid to talk about anything mentioned in this post. Everything mentioned in this post are things I genuinely love and wanted to share with you all. Photo Credit: I took All of the product photos with a Canon T5 with a 18-55mm lens. Cover photo background is from Google and I added the words in Photoshop.